In nature travel, we find some of our ultimate life experiences. The kind where time stands still, and we stare in stunned silence, utterly unaware of ourselves. I see rainbows whenever Killer Whales are around! I have been fortunate to combine my two loves, sailing and visiting wild places. Here, the yacht, Billy Budd, cruises by a notable iceberg in West Greenland. A ravenous Sea Otter feeds itself on a giant Pacific Octopus in Resurrection Bay, near Seward, Alaska. Hard at work at my day job as a Captain in the spectacular Northwestern Fjord in Kenai Fjords National Park. A hungry Polar Bear travels the ice edge in a lonely fjord in Spitsbergen. Mike developed a love for the outdoors at a very young age while enjoying his youth by the ocean in southern New Jersey. He credits his mother with spotting and nurturing his deep love of nature, which has only intensified throughout his life. 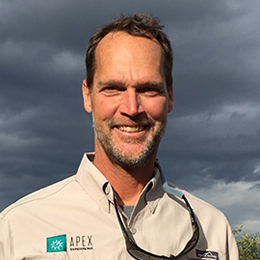 This passion for the natural world steered Mike to serve as a naturalist guide at Everglades National Park in Florida as well as California’s Sequoia National Park. But, he considers his time in Denali National Park to be his formative years, backpacking through the Alaskan wilderness in the summers and dog mushing in the winters. It wasn’t long before Mike’s explorations expanded and his desire to work further afield led him to accept a number of assignments at Arctic and Antarctic research stations. In early 2000, Mike decided to pursue a lifelong passion for sailing and obtained his Master’s License. This was followed by nearly a decade as a professional sailor aboard yachts, traveling to pristine natural places in Greenland, the Canadian Arctic, Svalbard, Cuba, the Galapagos, and the South Pacific for extended periods of time. He considers the ocean to be its own kind of wilderness, and found a joy there similar to what he experienced in Denali. Today, Mike still loves being around boats and on the water, experiencing the outdoors with fellow explorers. When he is not traveling or leading an Apex expedition, Mike works as a Captain and narrator sailing through the spectacular Kenai Fjords National Park, out of Seward, Alaska. Ask Mike a question about his upcoming expeditions? It’s a well-known fact that the overwhelming majority of marine mammals use an insulating blanket of blubber to maintain their warm body temperature, even in the coldest water. But the Sea Otter has harnessed the insulating potential of air. A 2010 study showed that a Sea Otter has as many as one million hairs per square inch on its body. The animal’s incessant rolling is its way of redistributing, or evening out, its protective bubble of air.